Pecans in their shell will stay fresh at room temperature for about 4 months. If you want to keep pecans longer than 4 months, there are several things you can do to increase their shelf life. Frozen pecans can be stored for 2 to 5 years without losing their flavor or texture. 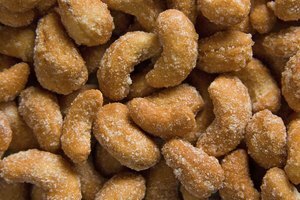 Nuts can be frozen and thawed as many times as necessary without negative effects, as long as you temper them during thawing. Tempering involves moving the pecans from the freezer to a temperature of 36 to 47 degrees F for about 3 days before bringing them to room temperature. 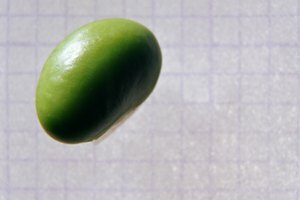 If you do not have a cool room available, nuts can be tempered in the refrigerator. The tempering process will prevent moisture from collecting when the pecans thaw, which is especially important for nuts in the shell, as moisture inside the shell can cause mold. Further, mold can be invisible until the nut is cracked open, which is a nasty surprise when you planned to use your pecans. If you do choose to store your pecans at room temperature, choose an atmosphere that will preserve their freshness. Keep humidity in the room at 65 to 70 percent, and keep the temperature as cool as possible. The right humidity will help the nuts retain their texture; any less moisture and the nuts will dry out, any more and they will become rubbery. Pecans will last longer in cooler environments, so if you do store them at room temperature, pick the coolest room in the house. Pecans readily absorb scents and flavors from their surroundings, so choose a storage space away from other foods or strong scents. Fragrant woods, fruits or even paint fumes will change the flavor of the nuts, especially if they are stored in the same place for a long time. 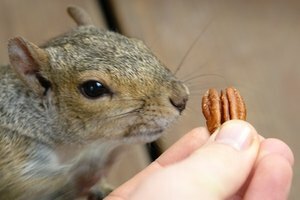 Pecans are also particularly prone to spoiling because of their high oil content, and if they are stored too long they will taste extremely rancid. If you are serving or cooking with pecans that have been stored for a while, be sure to taste them beforehand to make sure they are still edible.